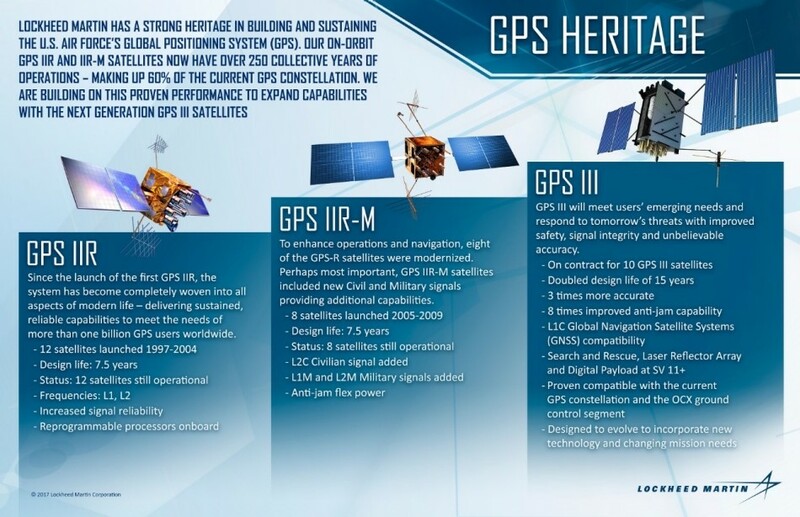 GPS III is the third generation of GPS satellites being developed by Lockheed Martin. GPS III satellites will have 3x better accuracy and up to 8x improved anti-jamming capabilities. These satellites will send the new L1C civil signal that makes them the first GPS satellite broadcasting a compatible signal with other international global navigation satellite systems, like Galileo, therby improving connectivity for civilian users. The satellites have an increased design life of up to 15 years. All GPS III satellites have validated compatibility with the next generation Operational Control System (OCX) and the existing GPS constellation, significantly mitigating risks from adding GPS III to the constellation.